The best part of May 5th is that it’s my mom’s birthday. She is 74 today. My birthday is exactly a week before hers, and that’s something I always thought was really special when I was a little kid. I still do, actually. My mom was a stay-at-home mom, and I remember thinking, “Oh, I’m going to do this when I’m a grown up! No job! No need to get up in the morning! This would be the BEST!” I’m laughing even now as I write that. What a dum dum! Being a stay-at-home parent (SAHP) is the HARDEST. I get it now. Sorry mom for not getting everything you always did. Mom ran a tight ship. She did laundry on specific days, ran the vacuum on other days, cleaned the bathrooms on yet another day, and by the end of the week, it was time to start over again. She would delegate tasks to us kids, because she was also full-time parenting during all this cleaning, which probably just made her job harder (sorry mom). I had to clean this one bathroom and vacuum the stairs and I can tell you I was not invested in doing a good job at all. I wanted to do a quick job, and a quick job is what I did. Mom also gave us all her time. She never missed a cleaning day (which, to reiterate, was literally every day), but she also was my girl scout troop leader, she lead my Odyssey of the Mind group, she was a classroom mother, she came to sporting events (which oh god must have been the most boring). Mom was also the boss of the house. We all pretended dad was, but it was mom. Mom still is the boss, or maybe it’s their dog Murphy, honestly the line is a bit hazy at this point. 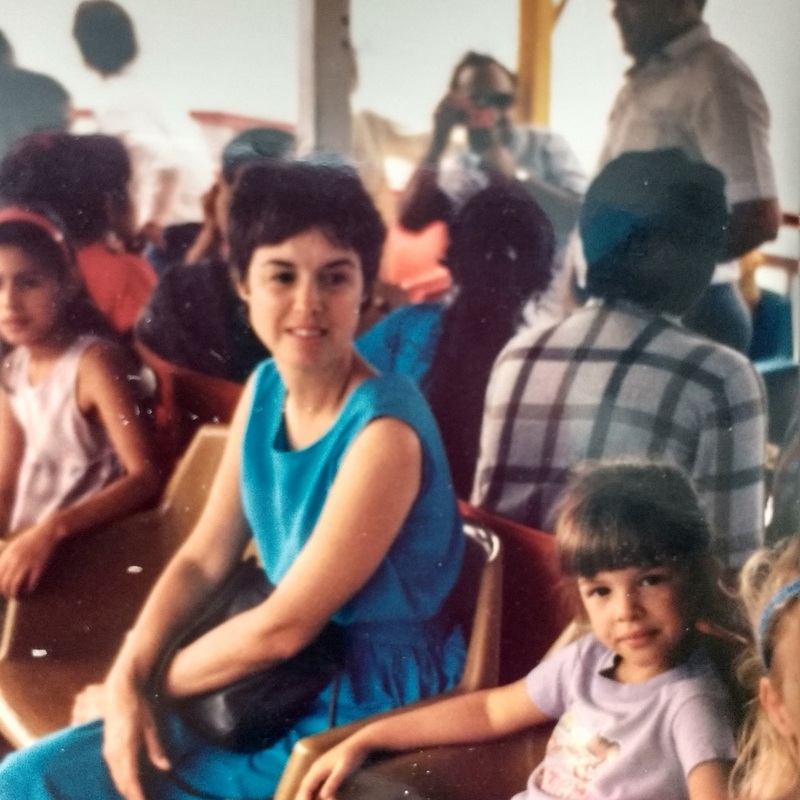 Mom paid all the bills, mom sent people to the doctor/dentist/hospital (or sometimes went herself if she was cutting a particularly tricky piece of chicken), mom cooked dinner every night and made sure we had boring, healthy snacks all day. As we got into high school, mom started taking this class for church and she’d once in a great while be gone in the evenings. On those nights, dad would order us pizza and we would all laugh and laugh about how great pizza was. Clearly, dad would have ordered pizza more often, but the boss wanted us to eat healthy, so we did. We would continue to under appreciate having a delicious home cooked meal every evening until college when suddenly things got clarity (sorry mom). Mom also maintained a busy correspondence with everyone she’s ever met (I think). When I was in college, I used to get a letter in the mail every single week. I got them until my parents moved to the same town as me, in 2009 (that’s 10 years of weekly letters). 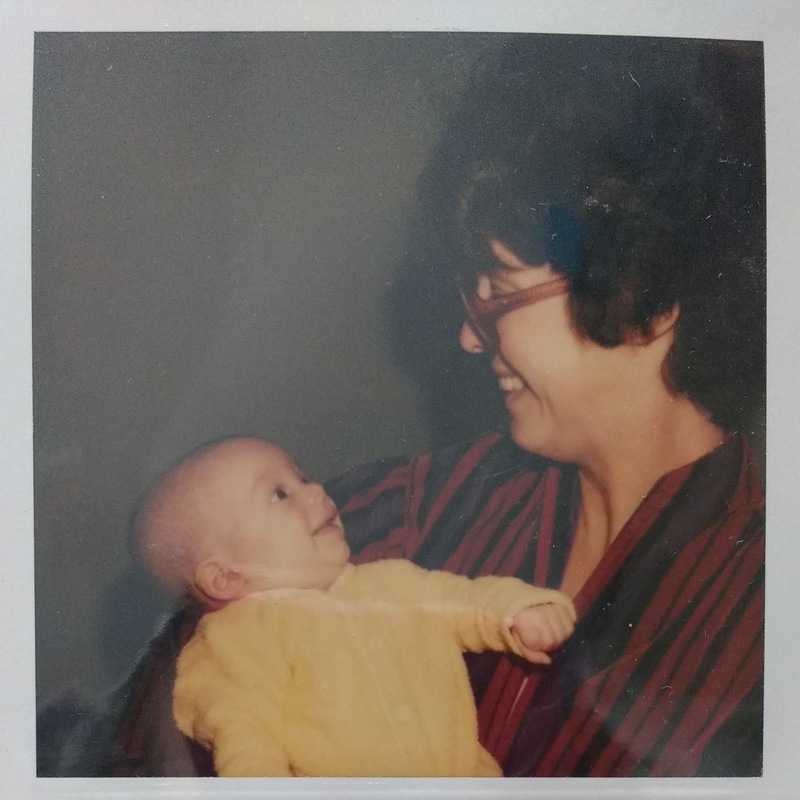 So my mom did all these things, but she also did it with not a ton of support (I mean, besides dad). We lived overseas until I was 10, so when we saw my grandparents, it wasn’t super often. We were all fine with that, but obviously a lot fell on my mom, and she handled it really well. I mean, yes, she would sometimes get frustrated and tell us that she was “going to pack my grip and leave” and we’d all giggle over that, but I get it now (sorry mom), kids are hella frustrating. Mom really put up with a lot from us. We are a really tight family, in that when we’d move, we were all sort of the only people we knew in that country, so we’d make do by being friends. We have a lot of inside jokes and things that make us crack up, just like any family. 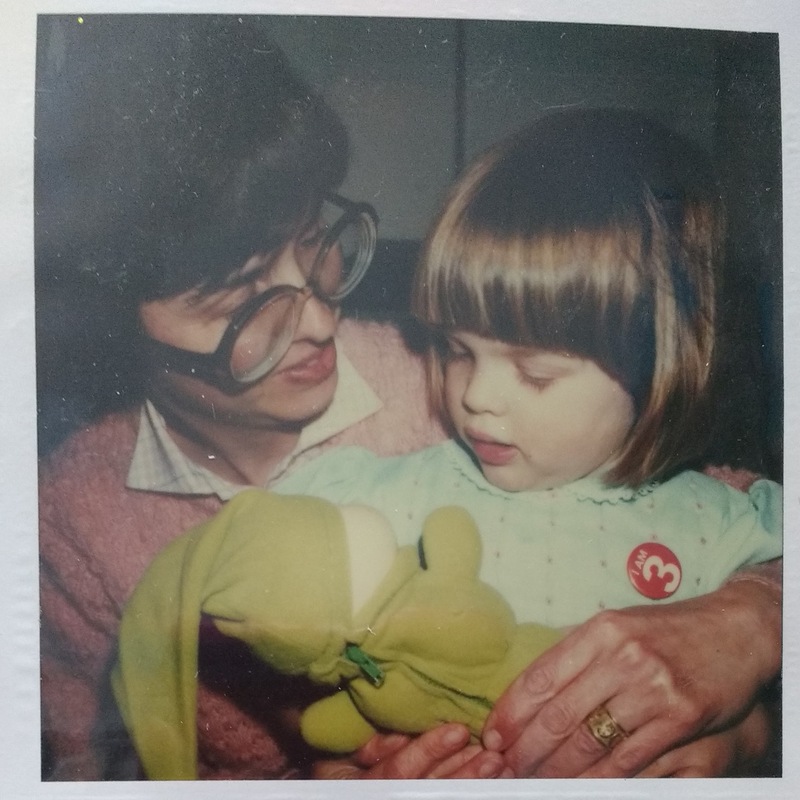 Mom has some momisms that are particular to her, like how she pronounces certain things (like I can talk, frankly), but we always used to love the way she’d say “GEE MY KNEE” when particularly frustrated. Isn’t that cute? It turns out, she was saying “Jiminy” like the cricket, which is an old-timey thing to say I guess. (Dad’s special thing to say when frustrated was “rats-o-frats” which is making me laugh to think about now.) She also can’t say “Massachusetts” to save her life, but it’s an extraordinarily silly word to write and pronounce, so we’ll give her a pass on that. In 2009, my dad retired and my mom had to suddenly integrate this human into her meticulous daily routine. It’s like she got an enthusiastic intern after 40 years on the job. So dad became the vice president of vacuuming and woodworking innovation. He was given jobs around the house and that freed mom up to dream up home renovations that he then had carried out or completed himself. He got a little underfoot. She was gracious about it all, from my point of view. Now, mom and day spend their days together up in New York (we go to visit in another two weeks! ), going on walks every day the weather is nice enough, spending time in their yard with Murphy, puttering around with their own hobbies, and keeping busy. A few years ago Mom put together a really lovely scrapbook for me, filled with photos and memories from my childhood through graduation (see some selected photos below). A year or two back, mom fell and broke her wrist, and as part of her rehab, she took up coloring. Now when we get cards (that she makes herself) she often includes a page from a coloring book that she’s filled in. The kids absolutely love it. 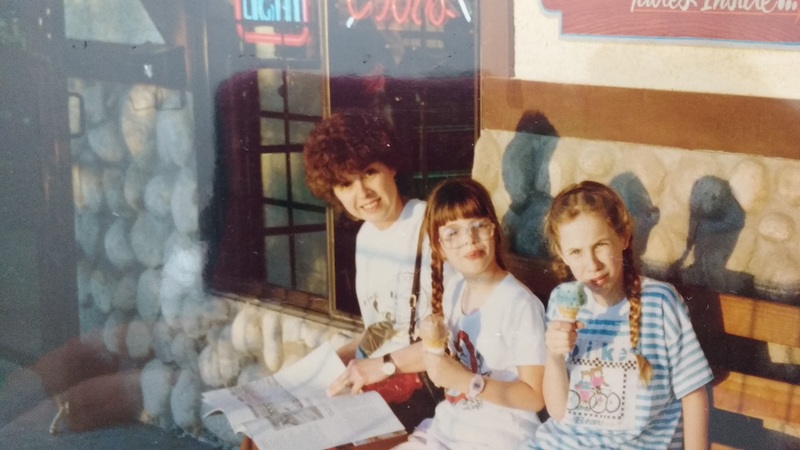 Mom has always had the ability to step back and encourage silliness and imaginative folly. As a mechanical engineer, dad is really creative, but I think the inherent inconstancy and unpredictability of small children was a bit outside his wheelhouse (I feel you on this dad); but mom would encourage any imaginative play. I thought I’d grow up to be a unicorn for a long time. I can recall a lot of imaginative play and story-telling and just goofiness with my mom. She always had time for that. 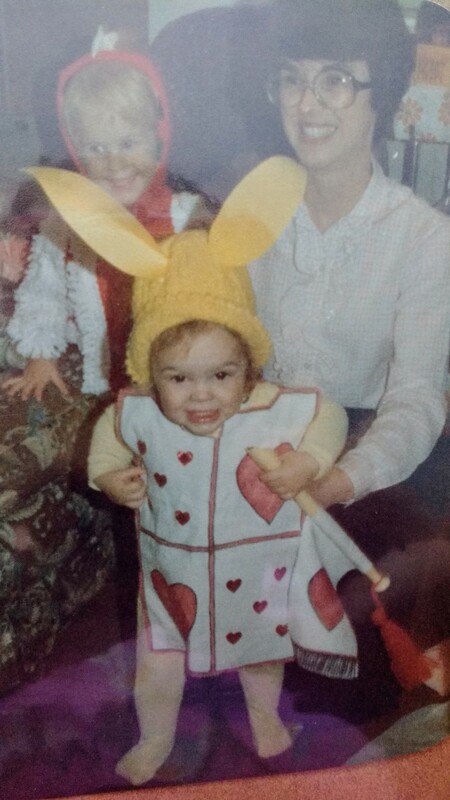 She used to make all our halloween costumes somehow. This glow worm. I could never get it to light up. I had to crop my sister out of this picture and I still couldn’t get it to be clear (SORRY Kirsten). I’m crying, here, Zandy. This is just lovely. I feel like I know your mom now, and I adore her. She’s rad; you’d like her 🙂 She loves to read! And sit in a warm quiet spot and drink tea. Your mom is amazing. Especially for putting up with one extra kid all those summers and vacations!! And lol at the health food. I remember one summer ordering my mom to bring me potato chips when she came to get me, because I hadn’t seen a single bag of them at your place in weeks!!! Omg, haha – and now I force my kids to endure the same! love! She sounds like a very cool lady.